Samsung has launched a pair of new portable gaming PCs at the CES 2017. 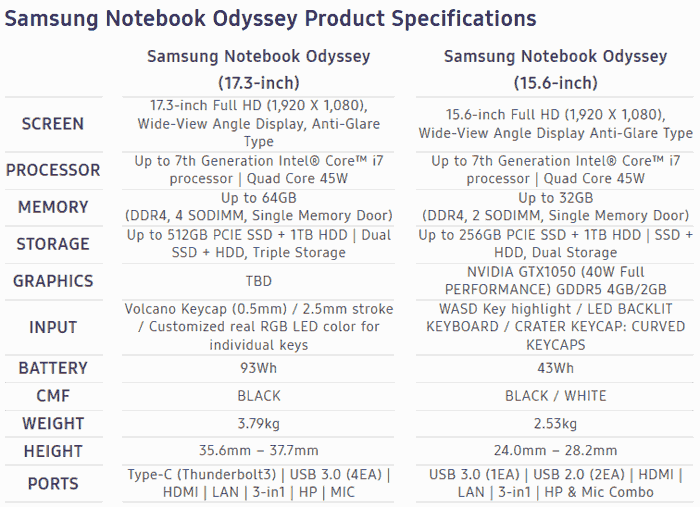 "The Samsung Notebook Odyssey was designed specifically with gamers in mind and is equipped with exclusive features to offer users one of the best gaming notebook available on the market," said Young Gyoo Choi, SVP of the PC Business Team at Samsung Electronics. The design brief was for a premium, stylish and portable machine with enough power for intense graphics-rich games. Samsung believes it has packed in some "enhanced gaming usability," into these machines, available with Full HD 17.3- and 15.6-inch screens. When I first saw the Samsung Notebook Odyssey press release I was wondering what is happening with that touch pad. However it's easy to see in larger images that the active touch area is a traditional rounded rectangle and not some kind of rhombus. 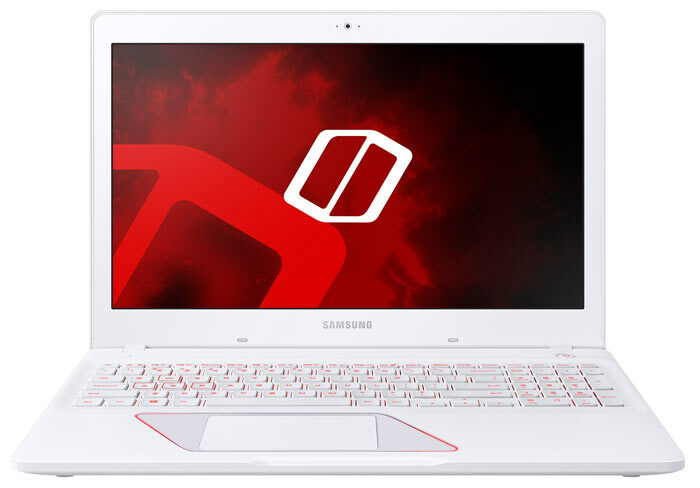 Inside the Samsung Notebook Odyssey portable gaming PCs you will find the growingly familiar combination of a 7th Generation Intel Core i7 processor (Quad Core 45W), and Nvidia GeForce GTX 10 series graphics. The larger 17.3-inch model, has a 'TBD' graphics accelerator, perhaps it will get a GTX 1060, though the screen res is the same as the 15.6-inch model. The 17.3-inch Samsung Notebook Odyssey does offer some confirmed higher specs than its smaller and lighter brother. The screen is a little brighter at maximum, it can be fitted with double the RAM (64GB), up to double capacity PCIe SSD and HDD combination, its battery if more than double in capacity, it offers a Type-C (Thunderbolt3) connector and more USB 3.0 ports, and it has something called 'Volcano keycaps' with RGB backlighting (rather than single colour). To keep performance perky and unthrottled Samsung has designed the HexaFlow Vent advanced cooling and ventilation system. Furthermore this vent area is detachable for easy memory and storage upgrades. We don't have any details on pricing and availability for the new Samsung Notebook Odyssey portable gaming PCs. For now you can enjoy the very cheesy inside story feature video, below: "When a lone night is cast into the lake of fire and all hope seems lost, yada yada…"